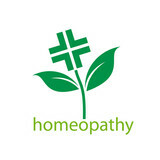 Shobha Homoeopathic Clinic is situated in Kolar Road Bhopal. Dr Jayesh Hemant Shah is the owner at Shobha Homoeopathic Clinic.Dr Jayesh Hemant Shah is a MD Homoeopath . He has completed his MD in Practice of Medicine from Dr M.L. Dhawale PG Institutre, Mumbai, which is now known as the "Center of Excellence in Homoeopathy".